From the founder of DDP, this updated and comprehensive guide is the authoritative text on DDP. DDP is an attachment-focused treatment for children and adolescents who experience abuse and neglect and who are now living in stable foster and adoptive families. 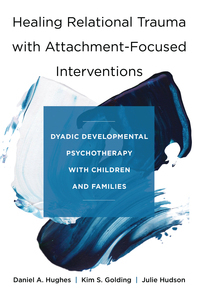 Its central interventions are influenced by enhanced knowledge about the structure and functions of the brain, as well as the latest findings regarding developmental trauma and the related attachment problems it brings.